A former court clerk who was earlier dismissed over his alleged links to the Gulen movement, O.G. was sentenced to 6 years plus 3 months in prison on accusation of membership to the Gulen movement. Among the evidences for his conviction were a deleted picture of Maqluba dish and photos of Fethullah Gulen allegedly recovered from his phone. Turkish government accuses Gulen and his movement for masterminding the July 15, 2016 coup attempt while the US-based cleric denies involvement. The investigation launched against O.G. claimed that O.G. was a user of ByLock, a smartphone messaging app that authorities believe to be the top communication tool among Gulen follower. Hundreds of people including Taner Kilic, the chairman of the Amnesty International in Turkey was detained for allegedly using this shadowy application. O.G. denied the accusation while on trial before a Gaziantep court. Meanwhile, the judges overseeing the case ruled that pictures of Maqluba dish and of Fethullah Gulen were found at the “deleted data section” on his cell phone, and sentenced him to 6 years and 3 months in jail on charge of membership to a terrorist organization. 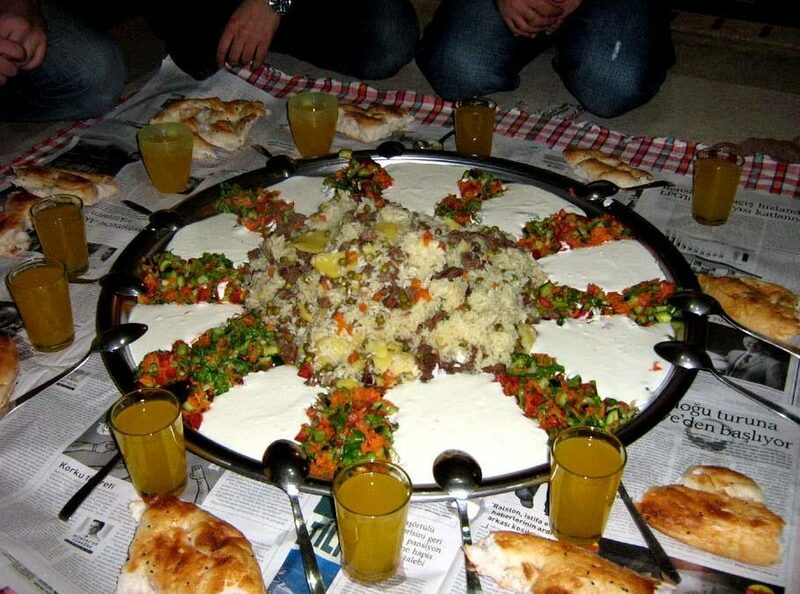 Maqluba is a traditional Arab dish, allegedly favorited by Gulen movement sympathizers in Turkey.